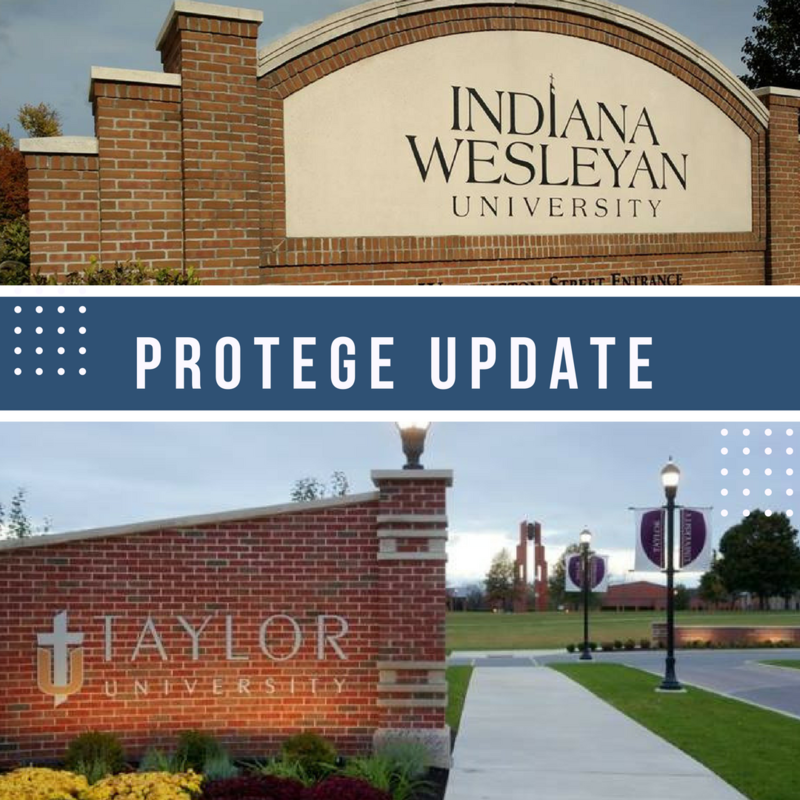 The Protégé Leadership Development Cohort was present at the Taylor University Job Fair on October 10 as well as the IWU Residency Fair on October 24-26. Over 20 students filled out request for more information on the program with some students already submitting applications. The next on-campus visit is scheduled for Crown College on February 7, 2018. Present plans are to accept three more residents into the program with a yet to be determined amount of summer interns. Final decisions on applicants will be made no later than March 1, 2018. Married applicants may hear sooner than that deadline due to the challenge of housing requirements. Are you graduating from school and considering a call to ministry, but you didn’t major in Ministry or Theology? Are you thinking about pursuing a seminary degree, but are not sure how you would apply that degree or in what area? Are you a Theology or Ministry major discovering that experience is equally important in determining where you end up in ministry as well as knowledge? The Protege Leadership Cohort is a two year residency program for graduates considering a full-time career in ministry. Housing and a monthly salary are provided. Students are encouraged to pick a concentration such as College Ministry, Youth Ministry, Community Engagement, Ministry through the Arts, etc. At the end of the two years, ministerial credentials may be earned. Proteges may be ordained in the Christian and Missionary Alliance, though credentials through the Alliance are not required. The goal of our staff and Elder Team, as well as PDC, is to divide our time equally among ministry responsibilities both inside and outside our church campus. PDC emphasizes a balance in the development of services and activities and relational engagement. Sunday mornings at Hope The Breakfast Church are a conversation, not a one-way presentation. We start with conversation over breakfast and continue a conversation with God. From scripture readings to adult discussion groups, all are designed to be highly participatory. PDC participants can expect experience in service preparation and group development (gathering) as well as experience in the strategic seeding of people and geographic ministry (scattering). Yes. In addition to covering housing costs, Protégé’s receive a bi-weekly paycheck. Insurance is not provided at this time. Is this a temporary position? Yes and No. Yes it is temporary with the possibility of placement in a different ministry in two years and, No, should ministry efforts prove fruitful in our local context, one might find themselves around HTBC a long time. While obtaining ordination in the Christian & Missionary Alliance is a potential outcome, the experience gained and the opportunity to prove yourself in ministry is worth the two year investment. Oh, and placement assistance isn’t bad either. Leadership Development provides the energy behind Breakfast Church. We will benefit from your passion for ministry as it rubs off on others and new avenues of ministry are launched. Protégé’s work a minimum of 20 hours per week. We do not place a maximum limit. The following questions provide a bit of an outline or structure for the second (and final) interview that Protege candidates will experience. This is a long list…and we won’t make it through every question. They’re all great questions and worthy of your consideration. Don’t let them intimidate you…there are many followers of Christ who would struggle with answers to a select number of questions listed here. We’re not trying to “trip you up” with these. We’re all about dialogue at Breakfast Church. It’s quite appropriate that our discussion would begin now. Are there any values represented here that you have questions about, and which you would want to discuss before becoming a Protege Intern? Who is Jesus Christ according to your understanding? What did His death accomplish? Who is the Holy Spirit? How does the Holy Spirit function in our lives? Briefly give an overview of how one “grows in holiness” or walks in the Spirit. How has this played out in your life? What is the scriptural basis for forgiveness for sins committed after receiving Christ? What do you believe the Scriptures teach about death and the afterlife? How would you define the “gospel”? What is your view on the inspiration of the Bible? What is your view of the gift of tongues? Would you be willing to refrain from teaching doctrines unique to your denomination or background but are not common to the body of Christ? How have you addressed with friends the issue of homosexuality? How would you respond to the statement: “All religions lead to God”? How would you respond to the statement: “There are some issues or behaviors in life which are not necessarily right or wrong for all people, but depend on a person’s conscience.” If you agree with the statement, please list some of these issues.